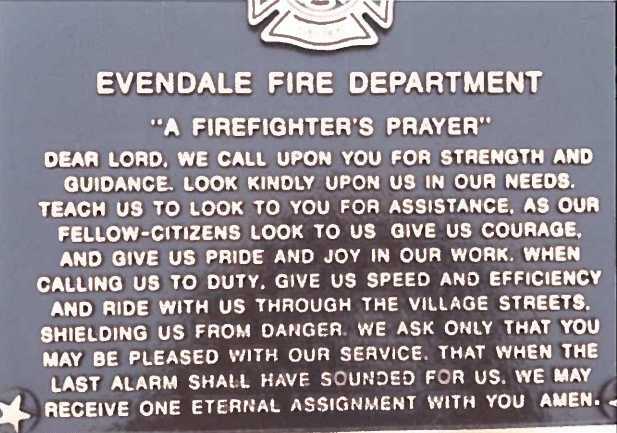 EVENDALE, Ohio — One of the nation’s most conspicuous church-state separation groups has requested that a village in Ohio remove several plaques from a veterans, police and fire memorial display because they contain Christian prayers. The Wisconsin-based Freedom From Religion Foundation (FFRF) sent a letter on Wednesday to the mayor of Evendale after being notified by a local resident that the plaques on the Baxter Park memorial contain a prayer for each branch of the Armed Forces, as well as a prayer for the police and for firefighters. The military-related prayers are stated to have originated from the Armed Services Prayer Book, which was first distributed by the Episcopal Church in the 1950’s. However, FFRF says that the plaques violate the U.S. Constitution and should be replaced by something more inclusive. “The Village of Evendale, Ohio should recognize sacrifices without also endorsing one religion over all others in violation of the Constitution. Over 23% of military personnel express no religious preference or are atheists and they should not be made to feel excluded…,” the letter reads. “By placing sectarian prayers on its memorial, the Village sends the message that it values the service of nonreligious service members, police officers and firefighters less than their religious counterparts,” FFRF claimed. It is not known if the village plans to respond. 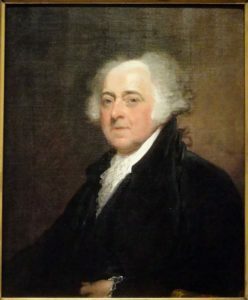 As previously reported, throughout America’s early history, a number of Founding Fathers issued proclamations calling inhabitants to prayer, including in 1798, when the aforementioned President John Adams proclaimed a national day of humiliation, prayer and fasting. President Abraham Lincoln also proclaimed a National Fast Day in 1863. “[I]t is the duty of nations as well as of men to own their dependence upon the overruling power of God, to confess their sins and transgressions in humble sorrow, yet with assured hope that genuine repentance will lead to mercy and pardon; and to recognize the sublime truth, announced in the Holy Scriptures and proven by all history, that those nations only are blessed whose God is the Lord,” his proclamation read. “[I]nsomuch we know that by His Divine law, nations like individuals are subjected to punishments and chastisements in this world, may we not justly fear that the awful calamity of civil war, which now desolates the land, may be but a punishment inflicted upon us for our presumptuous sins, to the needful end of our national reformation as a whole people,” Lincoln said.